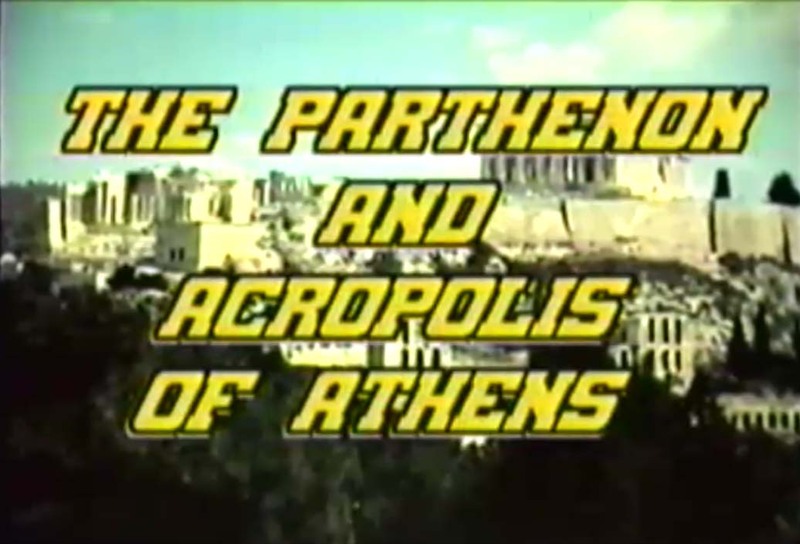 I just finished a big-deal article on the history, genres, and evaluation of archaeological film. It draws from a chapter of my thesis and I am pretty excited about it. While I was editing the chapter it got me thinking…while I’ve seen a lot of archaeological films while teaching, uh, archaeological film over the years I should watch more. A lot more. I’m going to watch and review all of the Archaeology Channel films. Probably. There’s over 170 of them, so it’s a crazy idea. But why not? Narrated by Thomas F. Soare, Ph.D. Authors: Not to be mistaken for the archaeologist Kenneth W. Russell who died tragically in Jordan, Kenneth L. Russell was the founder of the Educational Video Network and a Professor of Education at Sam Houston State University. Marjorie Haw Russell was a photographer and artist. Together they coauthored several educational videos about the ancient world. Review: The opening made me immediately nostalgic for all the documentaries we had to watch in school. The reedy opening music evokes sadness, and a drowsiness with which we view the surrounding landscape. Most of the shots are long, landscape, no humans visible. Several Mycenean strongholds glide in and out of the screen until we get to, of course, The Acropolis. 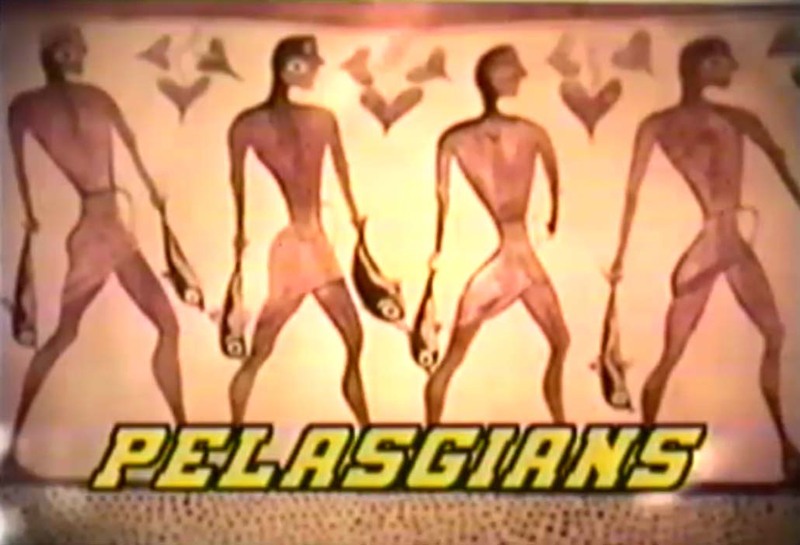 The music picks up when we get to the first humans shown–why it’s the Pelasgians, of course! They’re a wallpainting of some dudes with weird eyes carrying fishes. Apparently they were “deeply concerned with vegetation and fertility cults.” Aren’t we all? After touching on the important people in Greek history (mostly gods and kings), we follow the subsequent history of the Acropolis. I was excited when the Persians busted things up in 480 BC, but not much came of it, except for some column bases now placed in the walls. Overall, the historical record is not questioned; this is a very art historical approach to classical archaeology. There are no revelations, archaeological investigations, or moving images, for that matter. It is a slide-show with poorly preserved image quality and a didactic voice-over. People who grew up in the 80s or 90s may want to watch the first 30 seconds to hit a certain muddy technicolor documentary sweet spot.